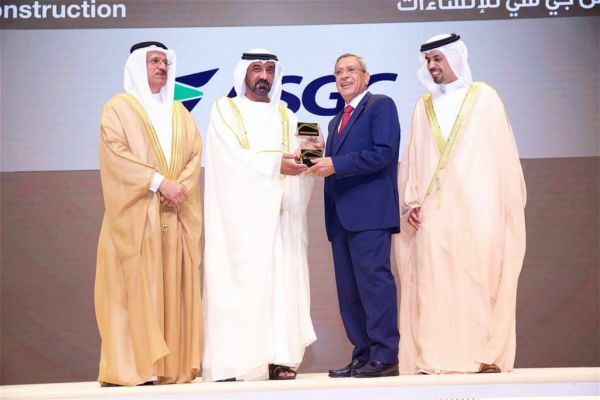 ASGC - one of the leading construction groups in the UAE—has received two coveted distinctions for business excellence during the latest round of the Mohammed Bin Rashid Al Maktoum Business Award as well as the Mohammed Bin Rashid Al Maktoum Innovation Award. ASGC was the only company in the construction industry to be honored in both awards programs this year. In both programs, ASGC was recognized for its role in promoting global best practices on both a corporate management level and in terms of construction innovation. The company has maintained sustained business growth, outperforming many in the marketplace, and has been active in knowledge-sharing initiatives across the GCC—elevating the region’s overall business reputation worldwide. Having set a qualitative high level of business excellence since its inception, the Mohammed Bin Rashid Al Maktoum Business Award aims to embrace all GCC businesses in the journey of excellence, recognizing and celebrating the success of these organizations. In addition, the Mohammed Bin Rashid Al Maktoum Innovation Award recognizes companies who are proven to be leaders in the realm of innovation. For nearly 30 years, ASGC has been delivering turn key special projects across the UAE, employing more than 16,000 construction specialists and workers across the nation. The company is currently managing landmark projects such as the upcoming HH Sheikh Mohamed Bin Rashid Public Library, Dubai Arena, and Expo 2020 Sustainability Pavilion.